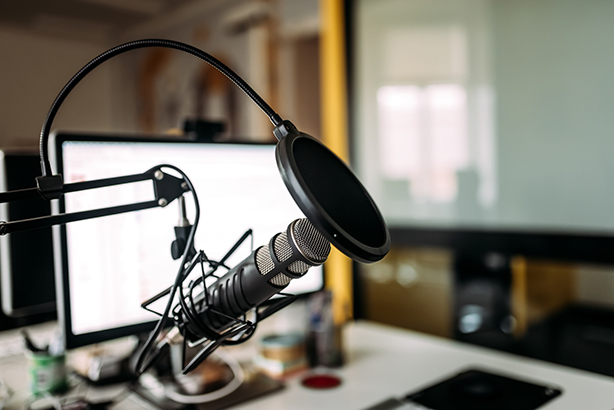 There are hundreds of thousands of podcasts and millions of downloadable shows - with numbers growing rapidly - and, according to a marketing expert in the region, PR shops should be making them a priority in their comms strategy. Cheryl King, managing director of markettiers MENA, says well-conceived podcasts are an effective and convenient way to deliver content to target audiences, but that many agency heads are missing the opportunity that they have to offer. "2019 is already looking to be a game-changing year for the podcast," says King. "You only have to look at the record amount Spotify paid to acquire Gimlet to realise the significant opportunities. "Many brands are aware of the potential podcasts offer to meet business objectives and convey messaging. The key, however, is creating something appealing for audiences that also delivers a tangible business outcome. Ensuring a return on investment from podcasting is not just down to creative input, it’s also about understanding the output." The number of podcast downloads crossed 2.6 billion globally last year and forecasts predict a massive growth in audience numbers as on-demand audio content becomes ever-more engaging. "Right now, relevance, focus and targeting are the differentiators for podcast," says King. You can produce a podcast for a specific, niche audience, which immediately makes it a targeted medium that can cater to the needs of individual tastes - whether you're into running, new music or even astrology. "When it comes to audio, chances are if consumers are interested in a particular subject, then there’s a specific podcast out there for them on a global platform. That level of accessibility makes audio incredibly appealing to the masses." With this in mind, it's of little surprise that surge in popularity in podcast has seen a rush of brands wanting to be involved, says King. "Sometimes the content they have produced hasn’t always delivered the desired - or expected - result. However, as a PR and marketing channel, podcast is easily misunderstood. "We have seen from the front that numerous brands are confused about the opportunity podcasts offer. "The real question is what strategies can brands use to get their messages in the hands of the right audiences? If brands don’t understand how to leverage opportunity and value in podcast now, they’ll miss out on the chance to take advantage of big listener numbers in years to come." "When considering a podcast, brands should be asking themselves, ‘what’s the objective?’, ‘who am I targeting’ and ‘how should I best approach it?’," says King, "rather than jumping straight into production." "Brands need to understand the podcast landscape and the broad consumption habits of the very people they’re trying to target. "Like all media planning, if your target audience is already consuming content on existing podcasts, then that might be the best route to market - creating one yourselves may not always be the best approach; being a guest on an existing podcast may work better." Many of the 550,000 podcasts on iTunes alone offer guest spots or speaker roles. "This route to market allows brands to unlock the power of podcast and effectively convey brand messaging without actually producing anything themselves," says King. "For example, ‘in play’, where the presenter talks about a service or product, offers a fantastic opportunity for brands, because data shows audiences are engaging with it." "On the other hand, when brands do create their own podcast content, it’s easy to make the assumption that ‘if we build it, they will come’," says King. "That’s not automatically the case," she continues. "If a brand wants listeners to hear their content, they are going to have to invest in a distribution strategy such as owned media promotion, advertising and aggregators. Word of mouth is one of the most effective ways to distribute content and maximise its value. "If people consume content they love, they will tell their friends about it. But don’t be fooled into thinking that creating loveable content is the easy part. You need to optimise the content and the distribution for success. "After all, you can have the best and most well-produced content in the world but if no one knows or has heard about it, what is the point?" There’s no denying the podcast industry offers brands new avenues to market, but it is also currently unregulated, says King. "While it’s not easy to measure penetration of brand messaging or changing perceptions, this doesn’t mean podcasts shouldn’t face the same levels of measurement and evaluation as other channels. For podcasts, looking at downloads only can provide a false metric. "How effectively you are targeting your audience and the data you can get out of it is more important than just looking at how many downloads you got. "If brands listen to the depth of opportunity, understand the data and be brave with their content, the opportunities in podcasts as a PR channel to successfully convey brand messaging are endless."